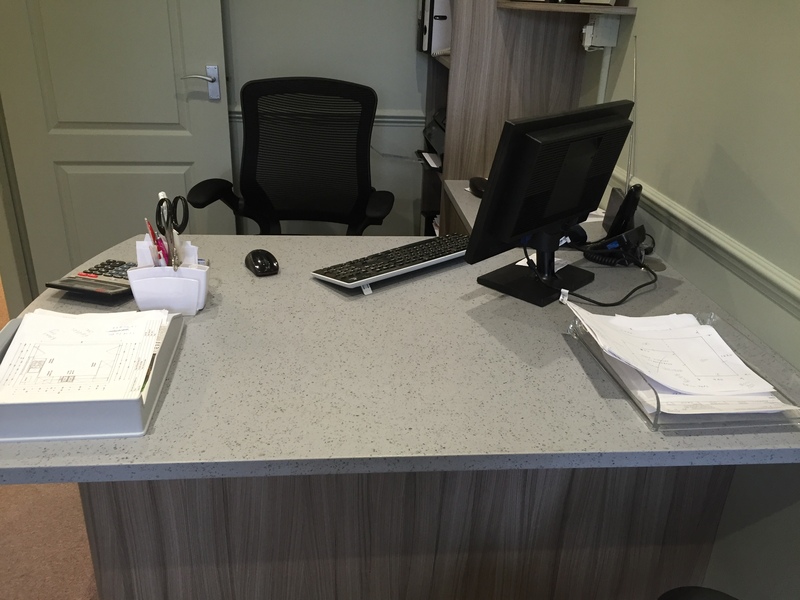 Here at Lamform we are able to make custom made desk tops whether it’s for your office or your home . Tops can be made in many different thicknesses from 18mm to 40mm or thicker what ever suits your needs we can make . 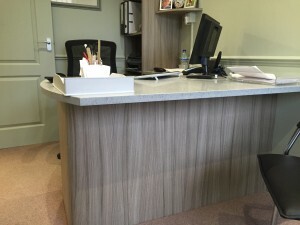 Choose from standard worktop colours , woodgrains or something more fun and funky if that is what you are looking for . 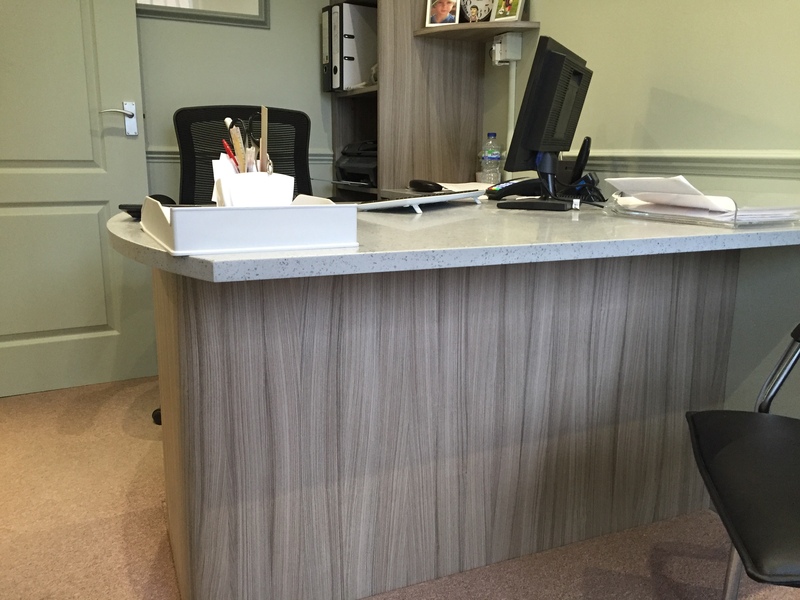 Desk tops can be made from laminate or the stunning composite tops as we have as our office desk at Lamform . 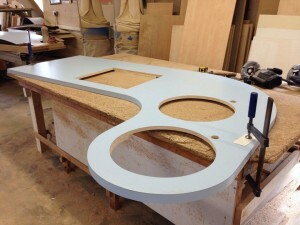 As they are made to order we can incorporate various shapes and curves if required . Please call for further details or drop into our showroom – we are also happy to give advice if needed .